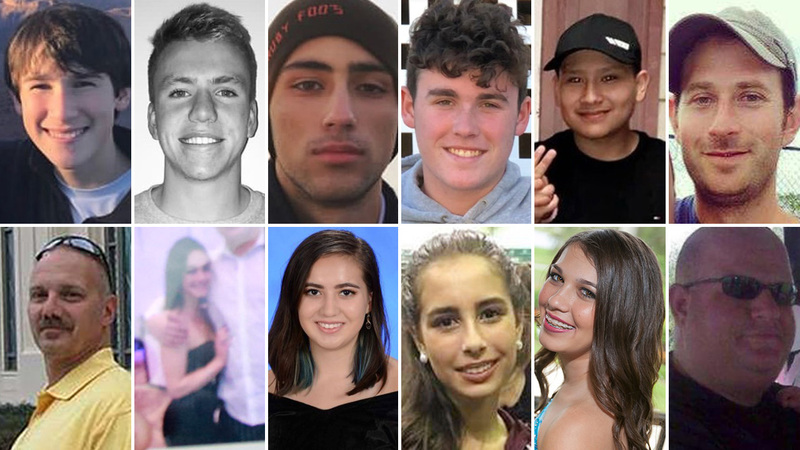 PARKLAND, Fla. -- Two students who survived the Florida school shooting and spoke publicly about it are not "crisis actors," despite the claims of several conspiracy-oriented sites and an aide to a Florida lawmaker. In Florida, an aide to a state representative on Tuesday emailed a Tampa Bay Times reporter a screenshot of them being interviewed on CNN and said, "Both kids in the picture are not students here but actors that travel to various crisis when they happen." Broward County Schools Superintendent Robert Runcie told the Times that the legislative aide's comments were "outrageous and disrespectful." "These are absolutely students at Stoneman Douglas. They've been there. I can verify that," Runcie told the newspaper. The aide, Benjamin Kelly, sent a second email to Times reporter Alex Leary with a link to a conspiracy video saying, "There is a clip on you tube that shows Mr. Hogg out in California. (I guess he transferred?)" In the clip, a news reporter interviewed Hogg while on vacation in 2017 in Redondo Beach as a witness to a friend's confrontation with a lifeguard. On Wednesday, YouTube had replaced one link to a video about Hogg as an actor with a notice saying it violated the site's policy on harassment and bullying, but other videos remained. Runcie called such attacks "part of what's wrong with the narrative in this country. If someone just has a different type of opinion, it seems that we want to somehow demonize them or color them as being somehow illegitimate instead of listening. . We'll never get beyond that if, as soon as you show up, you're demonized." Hogg also responded to the erroneous claims, telling CNN, "I am not a crisis actor. I'm somebody that had to witness this and live through this and I continue to have to do that."